Julia Chapman (M.S., Ph.D.) came to the lab from the Department of Environmental and Plant Biology at Ohio University where she worked with Dr. Phil Cantino on the ecology and control of garlic mustard. An avid and accomplished botanist, and banisher of invasive species, she was a 2009 winner of the Botanical Society of America’s Young Botanist Award. Julia completed her MS in the lab in 2012 and after working as an instructor in the Department of Biology, rejoined the lab to pursue her PhD. Her work in the lab centered on understanding the relationship(s) between taxonomic, functional and phylogenetic diversity in forests of North America and Taiwan. Erin Rowekamp (B.S.) is an MS student in the lab who did her undergraduate work at Thomas More College. Her project in the lab focused on how the invasion of Lonicera maackii into headwater stream riparian zones influences the linkage between the terrestrial environment and biology of the stream system. 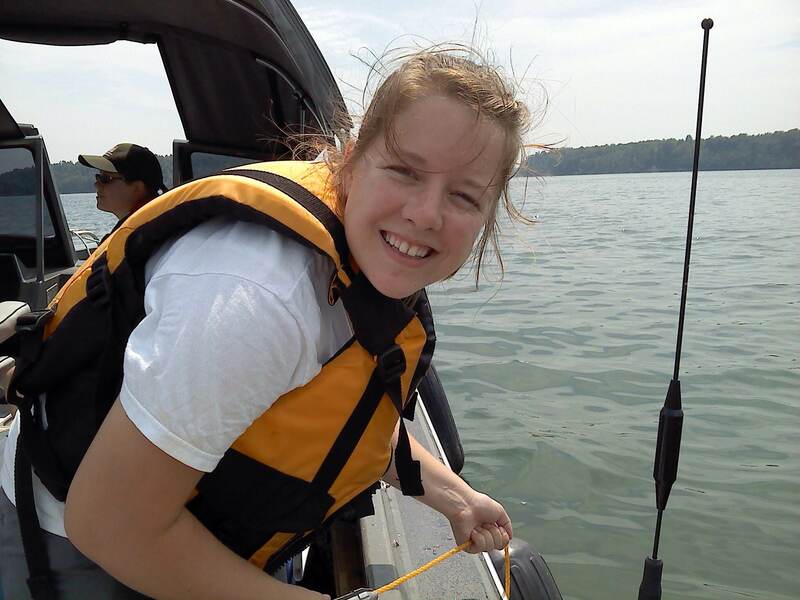 Rachel McNeish (M.S., PhD) is an aquatic ecologist by training, and worked on numerous research projects as an undergraduate at Millersville University in the lab of Dr. John Wallace. 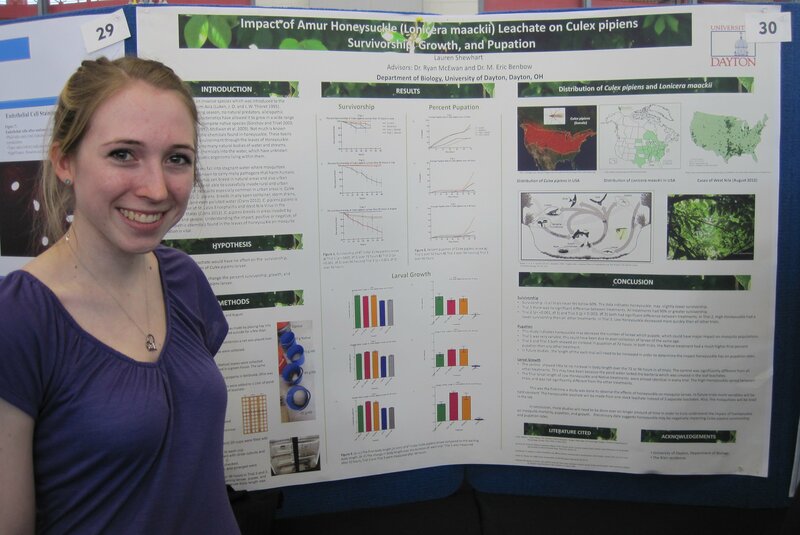 Her work in the lab focused on understanding the links between terrestrial and aquatic habitats, and she used the invasion of local forests by an exotic shrub (Amur honeysuckle; Lonicera maackii) as her model system. Rachel graduated with her PhD in May of 2016 and accepted a position as a Post-doctoral Associate at Loyola University in Chicago. Rachel is presently an Assistant Professor at California State University, Bakersfield. Lang, J.L., R.W. McEwan and M.E. Benbow. 2015. Abiotic autumnal organic matter deposition and grazing disturbance effects on epilithic biofilm succession. FEMS Microbial Ecology 91: fiv060. Jessica was a MS student in the lab who has a BS in Biology from Marian University. Jessica’s initial interest after graduating from her undergraduate program was in Wildlife Medicine and she spent a year at Purdue University in the vet school including a 1 month stint in Africa. She decided, however, that the basis of the biodiversity crisis is ecological and thus it requires an ecological solution (rather than a medical one). For this reason she joined the lab and developed a project that focuses on biodiversity and ecosystem function in forests. Presently, she serves as Director of the Office of Sustainability at Indiana University-Purdue University Indianapolis (IUPUI). Davis, J.G., J.I. Chapman, S-Y Wu and R.W. McEwan. 2015. Spatiotemporal dynamics of coarse woody debris in an old-growth temperate deciduous forest. Forest Science 61: 680-688. Sean was a MS student in the lab who did his undergrad work in the Department of Biological Sciences at Northern Kentucky University. He also worked with the NKU Center for Applied Ecology. In the lab Sean’s project focused on forest dynamics at Drew Woods- using dendroecology (the study of tree-rings to assess ecological change) and plot sampling to investigate forest dynamics. Sean left the lab to join the Ohio Department of Agriculture project on Asian long-horned beetle. Goins, S.M., J.I. Chapman, and R.W. McEwan. 2013. Dynamics and disturbance in an old-growth forest remnant in western Ohio. Natural Areas Journal. 33: 384-394. Kevin was a Postdoctoral Associate in the lab working on the NSF grant. He has a PhD from Wright State University where his research focused on ecotoxicology in stream systems focusing on metal pollution of stream benthos. His interest in the lab was applying this ecotox framework to the invasion biology of Amur honeysuckle. He wrapped up work in the lab in March of 2017 an left to take a leadership position at Pace Analytical Laboratory. Sarah was part-time technician in the lab who took on a number of challenges. She organized and led project funded by the Five Rivers Metroparks to restore an area invaded by honeysuckle, helped with a series of data analyses, and generally supported all of the ongoing lab activities. Sarah was a crucial part of our community. 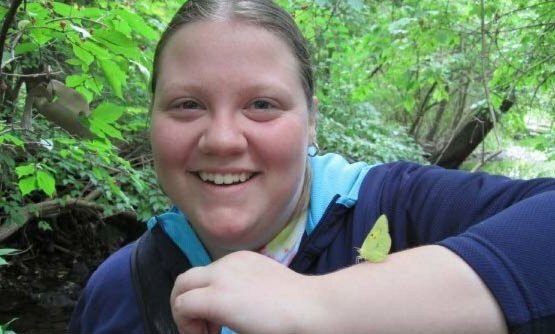 She is now a full-time naturalist and educator at Aullwood Audubon Center here in Dayton. McEwan, R,W, M.A. Arthur and S.S. Alverson. 2012. Throughfall chemistry and soil nutrient effects of the invasive shrub Lonicera maackii in deciduous forests. American Midland Naturalist 168: 43–55. Meredith is a friend of the lab, and collaborator. Her mission is to discover cost effective, methods for restoring forests. 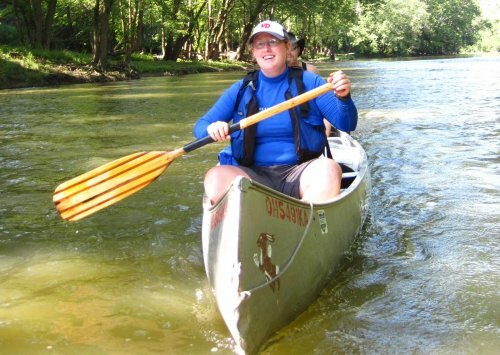 She graduated from Antioch College and currently coordinates and participates in conservation efforts for the Five Rivers Metroparks. She is also cofounder of the Manhattan Peace Garden. Cobb, Meredith., K. Watkins, E.N. Silva, I. Cardosa do Nascimento and J.H.C. Delbie. 2006. An exploratory study on the use of bamboo pieces for trapping entire colonies of arboreal ants (Hymenoptera: Formicidae). Sociobiology 47: 215-223. 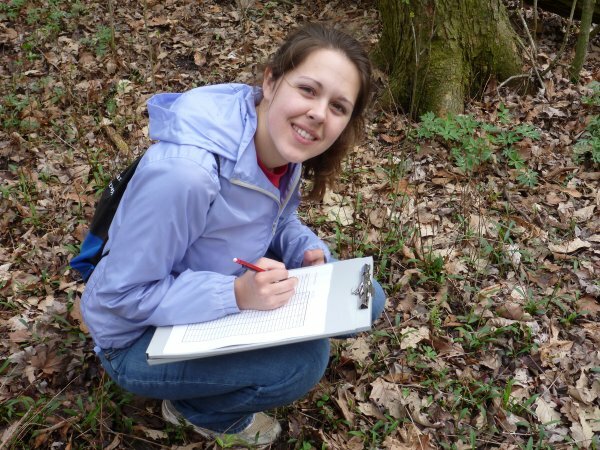 Taylor was an Undergraduate Project Leader in the lab who did an Honors Thesis that focuses on the herb layer at Drew Woods Nature Preserve in Darke County OH. This is an old-growth wet woods that has recently undergone two significant perturbations- garlic mustard invasion and removal, and the loss of ash trees due to the Emerald Ash Borer. Taylor graduated and joined the MS program at Indiana University- SPEA. Mitch is an Undergraduate Project Leader in the lab who has been incredibly engaged in the function of the lab for several years! He has worked full-time in the lab on the Amur honeysuckle NSF project and on our City of Dayton project. Mitch is co-leading macroinvertebrate sampling for our honeysuckle project, and launching a new vegetation sampling project with Corey Kuminecz. He worked full time on a project at Bill Yeck park near Dayton during the summer of 2017. Corey was an Undergraduate Project Leader in the lab who is engaged in a variety of projects. He has worked full-time in the lab on the Amur honeysuckle (Lonicera maackii) NSF project and on our City of Dayton project. Corey was co-leader of macroinvertebrate sampling for our honeysuckle project and did a large amount of the sample processing for that project. 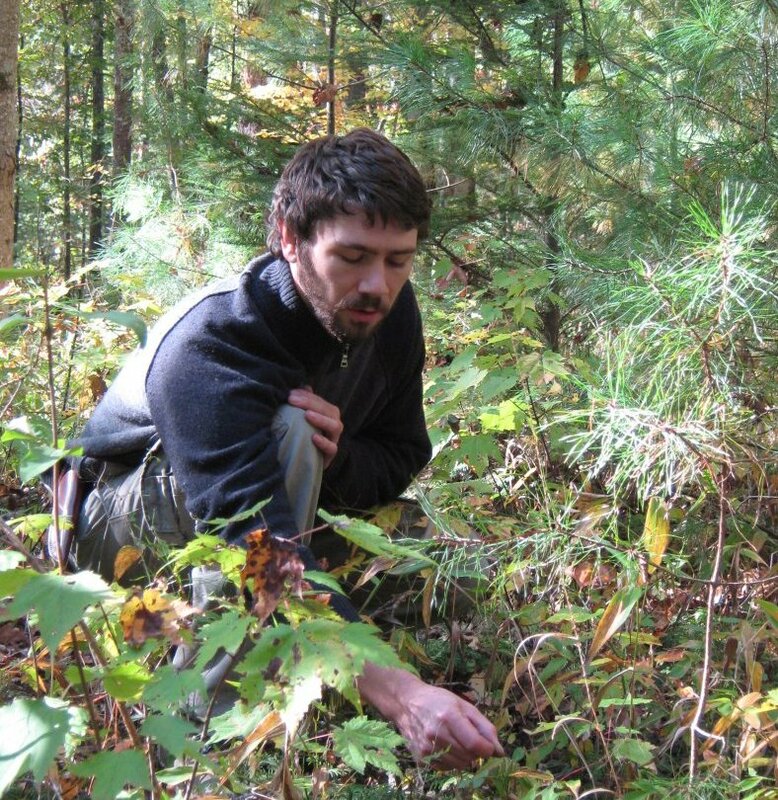 In addition, he worked on an herb layer project related to the NSF Lonicera project and an overstory vegetation sampling of Drew Woods an old-growth forest in Ohio. He was a Human Rights minor and has interests in thinking about linking environmental quality and sustainable human societies. He spent part of the summer of 2017 in Malawi working on a sustainability project. Corey left the lab to join the Notre Dame ACE teaching fellows program: LINK. Meg was a project leader and Honors student in the lab. She was incredibly involved with the campus community at UD, minoring in sustainability, energy and the environment, participating in the Rivers Stewards program and working as a Sustainability Intern with the Hanley Sustainability Institute. Meg started working in the lab for Rachel McNeish during her first semester freshmen year. She assisted with chlorophyll analysis on NDS samples. 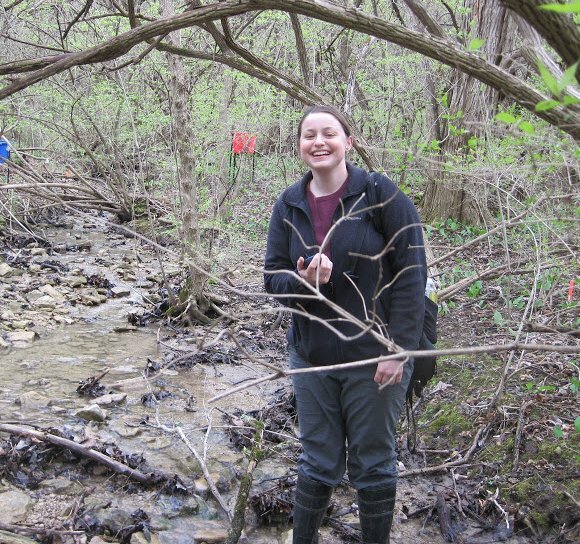 On the weekends, Meg studies restoration ecology in native ecosystems the Dayton area. Meg also enjoys “herping” or looking for reptiles and amphibians in her free time. Meg’s research in the lab included developing a new technique for sampling salamanders in headwater streams and assessing the role of Lonicera maackii invasion on the herbaceous community in forests near Ohio. During her time at UD Meg spent time in both India and China. 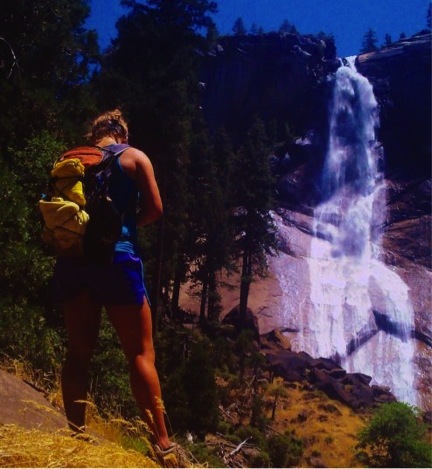 She left the lab to become a naturalist an educator at Mount Harmon nature center in the redwood forests of California. Eric was an Undergraduate Project Leader and Honors Student in the lab. He started working in the lab at the beginning of his freshman year, acid washing glassware, sorting leaf samples, and performing nutrient analysis on water samples and chlorophyll analysis on NDS samples. He took on a leadership role over two summers working on the National Science Foundation funded experiment investigating the effects of invasive plants on stream ecosystem biodiversity. His Honors Thesis project involves using microcosms to understand the influence of Lonicera maackii on aquatic invertebrates. He transitioned into the McEwan lab as a graduate student! Charlotte is a senior at UD studying Biology with a minor in Sustainability, Energy and the Environment, and a GIS certificate. She started working in the lab in the first semester of her freshman year. She is Honors Student in the lab pursuing an honors thesis. She has worked with Rachel McNeish on research concerning how Lonicera maackii impacts organic matter distribution in streams, and she has assisted Dr. McEwan on the Soil microbial effects on temperate forests following invasion project. Currently, she is conducting an honors thesis concerning how a gradient of Amur honeysuckle effects the nutrient cycles in riparian stream ecosystems. In the summer of 2016 she received an REU at Dauphin Island Sea Lab to study oysters. Next year she plans to pursue a master’s degree in environmental science and policy. Her goal is to work for a public agency or non-profit to work on environmental policy and science literacy programs in America. Angela was an Honors Student and Undergraduate Project Leader in the lab who was responsible for creating a whole new vein of research in the lab: urban pollinators! Her thesis project focused on land-use and pollinators in Dayton, Ohio. She left UD and headed to Emery University to join the Masters of Public Health program. 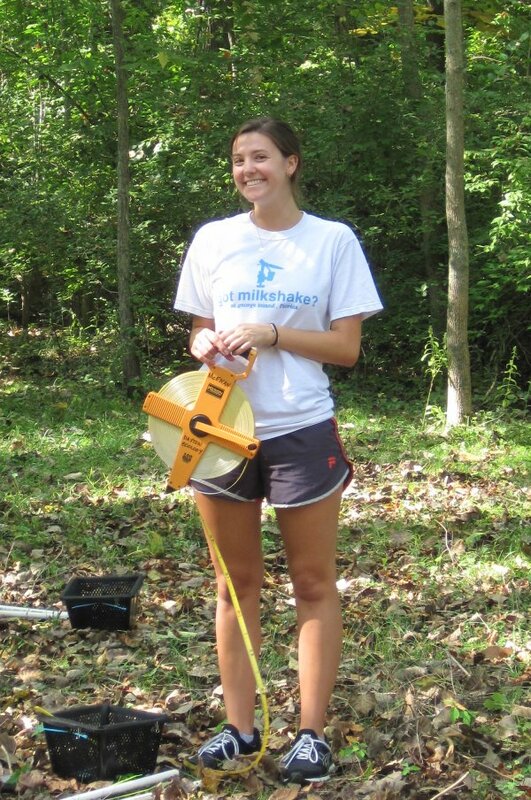 Sarah was an Undergraduate Project Leader in the lab who was the backbone of our NSF crew for two summers! She did an amazing job organizing our field site recon efforts and, in fact, became the “go to” person for both McEwan and post-doc Kevin Custer when it came to site-related issues! Also led a project that looked at the deposition of leaf materials in a forest invaded by Lonicera maackii. 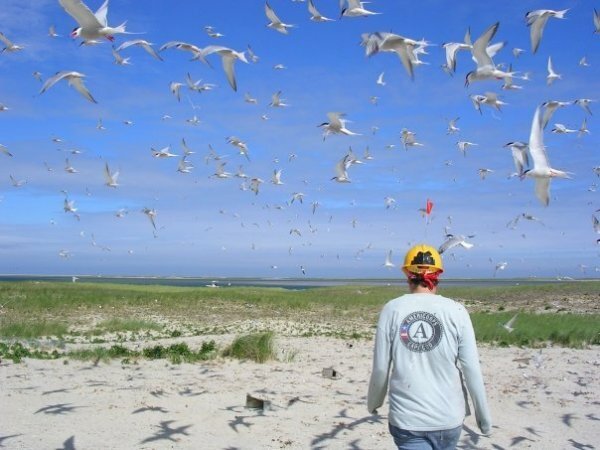 She left the lab and took a position as an intern at the Dauphin Island Sea Lab! Lauren was an Undergraduate Project Leader and Honors Student who was co-advised by McEwan and Dr. Eric Benbow (now at Michigan State University) on a project that focused on how Amur honeysuckle influenced mosquito abundance. The project was microcosm-based and led to a nice publication (see below). After she graduated, Lauren joined the laboratory of Dr. Don Cipollini from Wright State University where she launched a MS project. Shewhart, L., R.W. McEwan and M.E. Benbow. 2014. Evidence for facilitation of Culex pipiens (Diptera: Culicidae) life history traits by the non-native invasive shrub Amur honeysuckle (Lonicera maackii). Environmental Entomology 43: 1584-1593. Courtney began working in the lab in the spring 2012, starting off sorting surber samples and conducting aquatic ecology field work. She was an Undergraduate Project Leader on a project that addressed nutrient limitation in streams in relation to Lonicera maackii invasion and she also worked on a lab project in collaboration with Dr. Don Cipollini from Wright State University, studying the impact of Lonicera maackii’s allelochemical effects on soil and native plant species. Courtney graduated in May 2014 and began a MS project at St. Louis University working in the lab of Dr. Peter Bernhardt and Dr. Retha Meier focusing on the pollination of milkweed plants by Monarch butterflies. 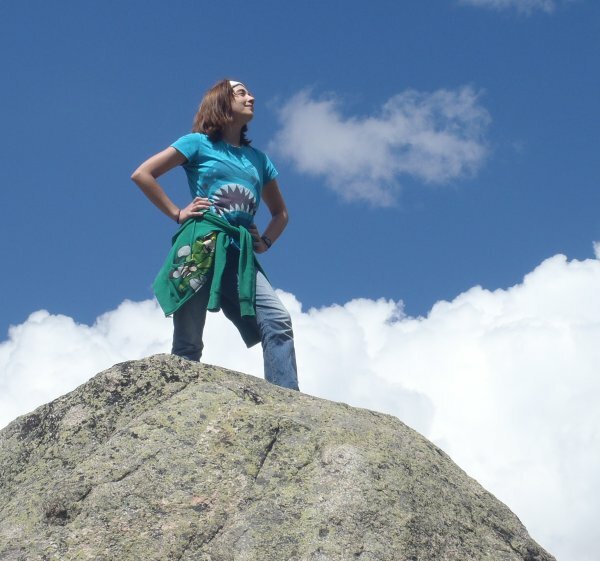 Grace loves the outdoors and aspires to save the human race. She is multi-talented and created the lab logo! Grace was an Undergraduate Project Leader in the lab as she worked on an environmental education project with Aullwood Audubon Center and Farm. Her project was dendrochronology based and she did such an amazing job they continue to use her ideas. She left UD and worked at the Cincinnati Zoo for a time and then enrolled in an RN (nursing) program! Charlie was involved in the lab as an assistant on Rachel McNeish’s project and then became an Undergraduate Project Leader as he led independent project focused on Emerald Ash Borer at the Cox Arboretum. He spent summer of 2011 summer working in the Hoosier National Forest in an summer tech position associated with Dr. Michael Jenkins. 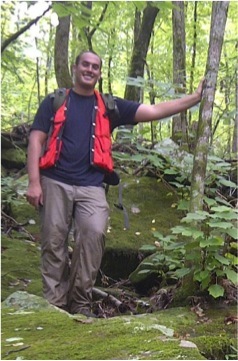 He left UD and headed south to the University of Alabama where he completed a Master of Science in Forest Ecology. Amy was a double major in Education and Biology and an Undergraduate Project Leader. She spent time working on a variety of projects, including helping to get an herbarium up and running. 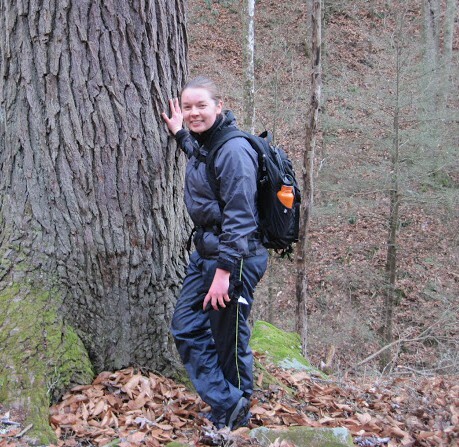 Amy then helped to lead a project that assessed vernal herb dynamics in Drew Woods, an old-growth wet forest in SW Ohio. She was also the resident cave expert and worked leading tours of Ohio Caverns for several years. Amy left the lab and achieved her dream with a job as a teacher at Piqua High School. Chapman, J.I., A.L. Myers, A. J. Burky and R.W. McEwan. 2015. Edge effects, invasion, and the spatial pattern of herb-layer biodiversity in an old-growth deciduous forest fragment. Natural Areas Journal 35: 439-451. Anastasia demonstrated unbelievable creativity in her role as an Undergraduate Project Leader in the lab because her research project was outside of the general area of expertise in the lab! She focused on the environmental microbiology of plant invasion. She demonstrated high levels of skills in various microscopy methods and worked in the lab doing aquatic entomology. 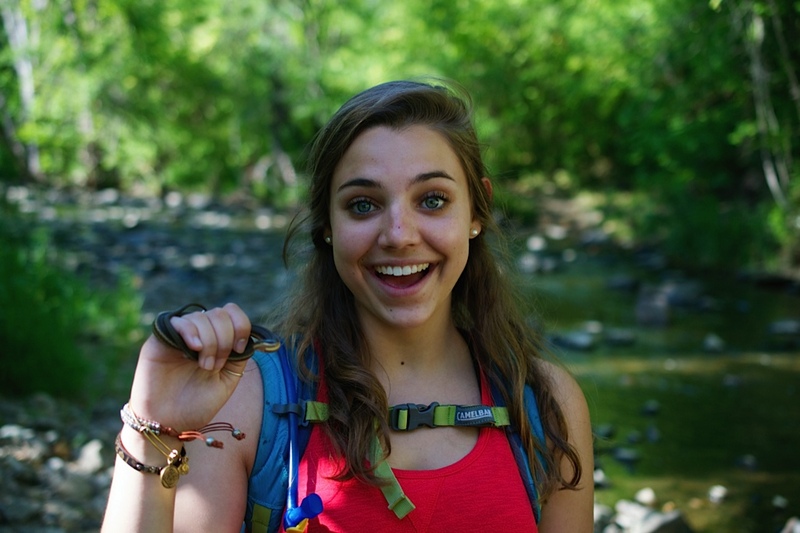 She spent one summer in an internship at Cedar Creek Ecosystem Science Reserve. 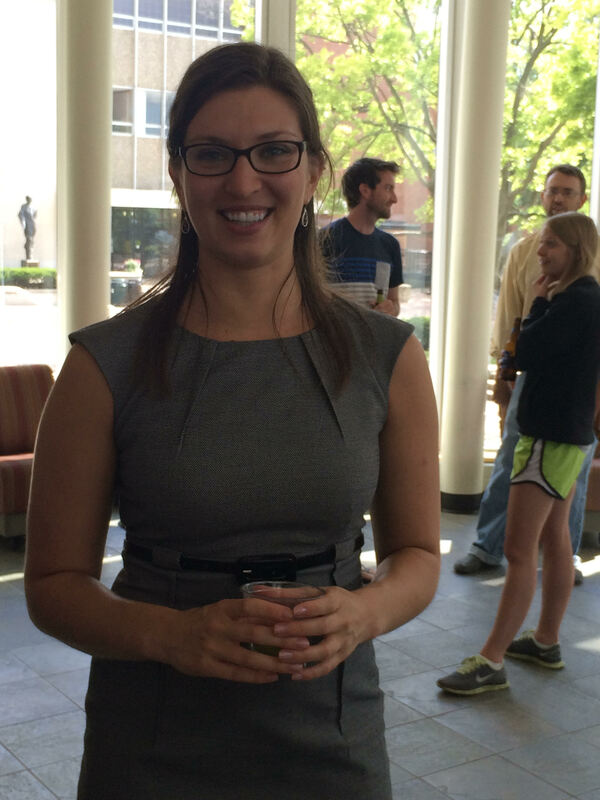 Anastasia left the lab and joined a graduate program at Duquesne University. Eryn worked on a variety of projects in the lab and was an Undergraduate Project Leader on a stream restoration project in association with PhD student Rachel McNeish. She received funding from Learn, Lead and Serve at UD to head a native species restoration effort in a stream riparian zone. 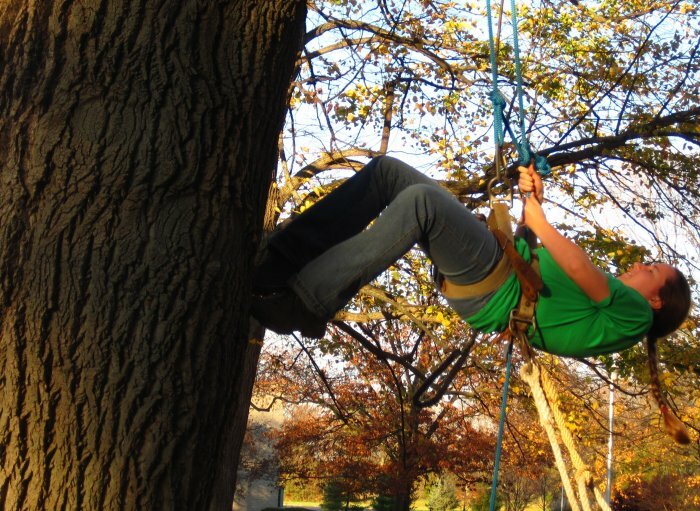 She worked with the Centerville-Washington Township Parks in this project. Eryn also spent the summer of 2011 working as an intern at the Cleveland Botanical Garden. Eryn left the lab and moved to Charleston West Virginia where she works as a supervisor in a wastewater treatment facility. McNeish, R.E., E.M. Moore, M.E. Benbow and R.W. McEwan. In Press. Removal of the invasive shrub, Lonicera maackii, from riparian forests influences headwater stream biota and ecosystem function. Rivers Research and Applications. The following four folks were founding members of the lab who were all Undergraduate Project Leaders. Nolan and Grace came first, then Amy and Katie. They helped launch the lab and were immensely influential in the success of the lab because they formed an inspiring community. 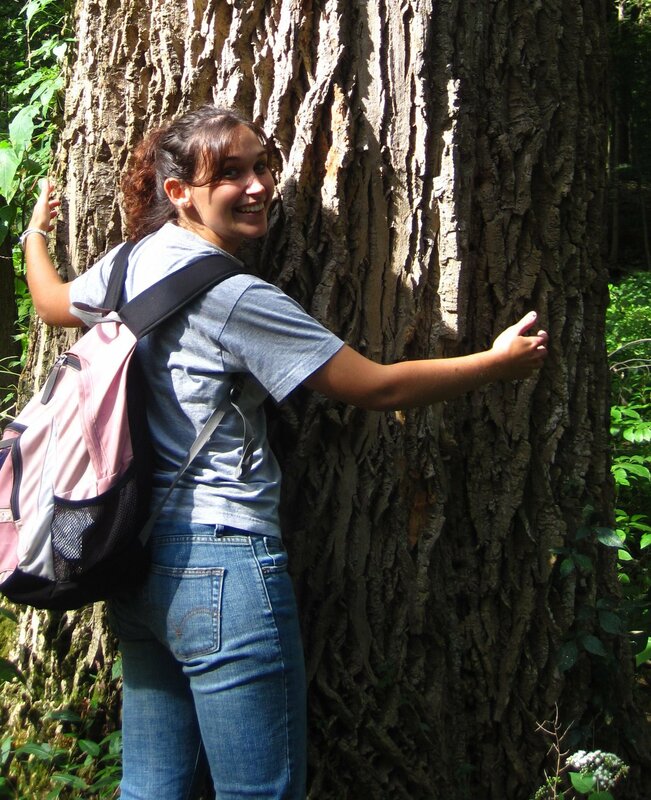 Amy was an Undergraduate Project Leader in the lab who envisioned and led an independent research project on the ecology of plant invasion in a variety of old-growth forests in Ohio and Kentucky. She also worked on a separate project in collaboration with the Five Rivers Metroparks to understand the process of restoring sites heavily invaded by honeysuckle. She graduated with a BS in Environmental Biology and also a GIS certificate. 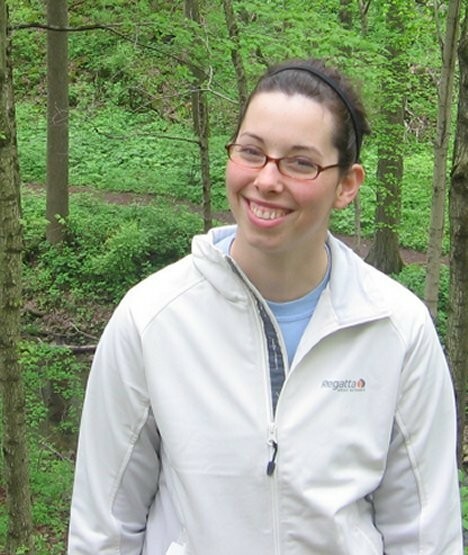 Amy left UD and went to West Virginia University where she completed a MS in Forest Ecology in the laboratory of Dr. Jim McGraw. McEwan, R.W., N. Pederson, A. Cooper, R. Watts and A.M. Hruska. 2014. Fire and canopy disturbance over 300 years in an old-growth temperate. Applied Vegetation Science 17: 312-322. Grace was an Undergraduate Project Leader in the lab who actually led two projects! She is co-author on an analysis of flowering phenology change associated with climate warming in southwestern Ohio (see below). She also worked on a project focused on forest formation and dynamics in sections of Germantown Metropark here in Dayton. For that project she received funding from Learn, Lead and Serve at UD and along with RWM also got funding from the Five Rivers Metroparks and from SEE at UD…meaning she funded her own research project. In the summer of 2010, she was awarded an REU position at the BioSphere 2 project. Grace left UD and headed to UCLA to work toward a PhD in the laboratory of Lauren Sack. McEwan, R.W., R.J. Brecha, D.R. Geiger and uG.P. John. 2011. Flowering phenology and climate warming in southwestern Ohio. Plant Ecology 212: 56-61. 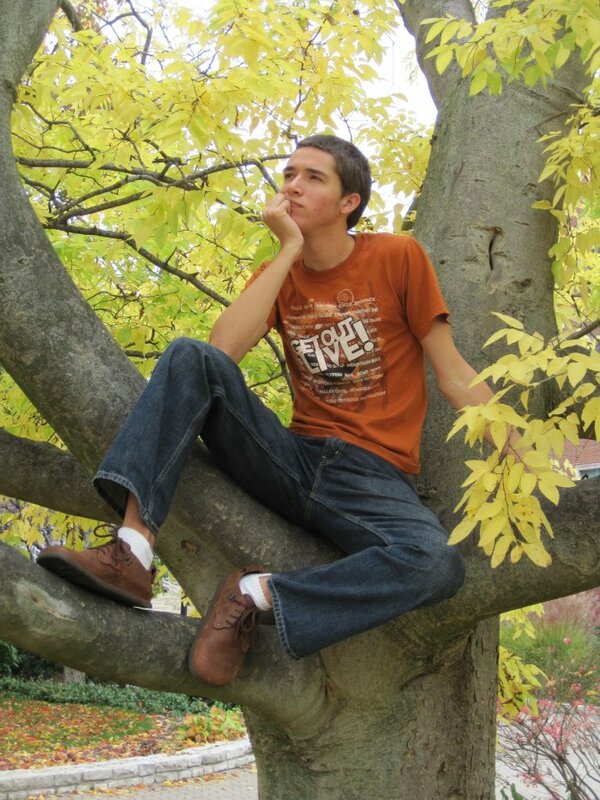 Nolan was one of the founding quartet who was also an Undergraduate Project Leader and Honors Student in the lab. He joined the lab in October 2008 and McEwan started the lab in August of 2008! Nolan was recipient of a Learn, Lead and Serve Award with which he developed a tree-trail here at UD and he worked on a historical ecology project using cabin samples. He spent the spring of his junior year in France and the following summer in Appalachia. His Honors Thesis project was an analysis of the spatial distribution and socioecological implications of urban greenspace in the Dayton metro area. Nolan left UD and completed a year of service with Colorado Youth for a Change, a non-profit organization committed to solving Colorado’s high school dropout crisis. He then began a Master’s Degree in Urban and Environmental Policy and Planning at Tufts University. Katie was an Undergraduate Project Leader in the lab and also an Honors Student in the lab. Her Honors Thesis was a project that sought to understand the relationship between regional land use and the ecological integrity of the Great Miami River. She assembled a research flotilla and completed two 5-day, ~60 mile paddling trips from Indian Lake to Dayton sampling the river along the way. She left the lab and joined the lab of Kevin Simon at the University of Maine where she finished her Master’s degree in May 2012. Katie next worked in the laboratory of Dr. Amy Rosemond at the University of Georgia focusing on a nutrient addition project at Coweeta Hydrological Laboratory. She is currently an environmental scientist working for the City of Dayton Water Department. And, in a wonderful turn of events, Katie is now reconnected to the lab as we are partnering with the city to understand land-use effects on stormwater!